2. Why did you breakup in the first place? There must have been issues that were unresolvable. Whatever your reasons for the breakup or who broke up with whom, you have to become clear about this. If you have come to terms with “agreeing to disagree” or this is no longer an issue for you, or you realize that your series of behaviors led to the beginning of the end (ownership), then you have a good chance of restarting toward success. The bottom line is this: each of you must have spent some time on your own working on yourself and learning from your past in order to come to a better understanding of yourselves and your relationship. Without a newfound understanding, the road will be uphill. 3. In that vein, you must take responsibility for your part. No matter what or who caused the breakup, each had a part in the making of and the ending of the relationship. You ALWAYS have a part. If you are blaming and criticizing the other person or thinking, “If only he/she had done x, y, z,” then you’re in trouble. Taking ownership for your part and acting responsibly going forward (changed behavior) is paramount to your future success. It takes two to tango so stop blaming and start acting wiser. 4. The relationship has to be new. Even though you have history, you have to leave the past in the past and accept that you are starting fresh. Yes, you have already built a foundation and you have something good with which to work. You don’t have to start from the beginning. On the contrary, you shouldn’t expect the relationship to be the same. You’ll never get back what you had initially. Replicating the beginning feelings of the ‘high’ is impossible given what we know about the “infatuation” phase. It can be better but it will also be different. Accept that. 5. Forgiveness is a must: you must have forgiven your partner for the hurt, disappointment and pain that he may have caused (whether he asked for forgiveness or not). You must also forgive yourself. By the way, forgiving someone who has hurt you does NOT mean that you condone his behavior or accept it. It simply means that you stop wishing that what happened didn’t happen. You can’t change the past. Leave it where it belongs instead of allowing the past to sabotage your future. 6. Communication is even more important: checking yourself along the way and checking in with your partner is ever more important. Have honest conversations about your needs and your shared vision together - an upgraded vision, if you will. You are wiser, after all. Refer back to a previous blog (https://www.artofdatingnyc.com/compatibility/) on how common interests are not nearly as important as shared vision for your future together. 7. Accept that change is a constant. Change is a fact of life. People change. Life changes. You can marry your best friend and there is no guarantee that he won’t change over the years and decades together. In fact, I worry if people don’t change. Lack of change means lack of evolution and not having learned any lessons along the way. After all, changed behavior is the only indication that you are willing to do things differently and better. As Esther Perel, the renown thought leader and psychologist in all things marriage, desire and infidelity teaches, you will inevitably experience many reiterations of marriage with the same person over time. If you do not adapt to the changing nature of your partner and the relationship, then the relationship will eventually die. 8. There is no guarantee that restarting your relationship will take you to forever. There are no guarantees when it comes to matters of the heart. You simply make the best decision at the moment and go with your intuition – your heart. The heart wants what it wants. You can over analyze, have decision paralysis and consider the pros and cons until the end of days but at the end of the day, you have to go with your gut and make a decision. If you’re still and in tuned, then your intuition will always guide you in the right direction. The best decisions do not come from the head; they come from the heart. That is the only way to live without regret. 9. On the aggregate, the relationship has to be healthy in every way: emotionally, physically, mentally and spiritually. It has to be life giving not draining. Read this sentence again. It is so important you understand this concept. You should feel at peace, fulfilled, and joyous in your relationship; not anxious, devalued and drained. 10. Do the work: all great things in life require effort and hard work. Can you think of an exception? I can’t. As a dating coach, I’m surprised by the number of hours we are willing to put into our careers, the gym, a hobby, but how little effort we want to put into our relationship. Relationships do not sustain themselves. You will get only as much as you give. Be willing to put in the time, energy and the effort to treat your partner with love, compassion, gratitude and respect. These things take work and consistency. Consistency is the mother of all things good. That’s how you build trust. Make your partner your priority as you would your career or your family or whatever you hold dear to your heart. The relationship will flourish as much as you water it. 11. Have a united front: many couples misunderstand the value of disagreements. It is healthy to disagree and it’s completely natural and normal to fight from time to time. If you agree on everything, then I promise you’re holding back. Research and personal experience have shown that the success of your relationship does not depend on the number of fights you have or how often you disagree. The success of your relationship depends in large part on how you take the time to repair after the fight. There is an effective way to repair and that is with a united front. The message has to be, “We’re in this together. Together, we can figure it out, no matter what the challenge is. I have your back.” If you can do that, you’re golden. P.S. Eunice is a professional dating coach for smart, successful and strong women who have almost everything. The Art of Dating is based in New York City with clients globally. 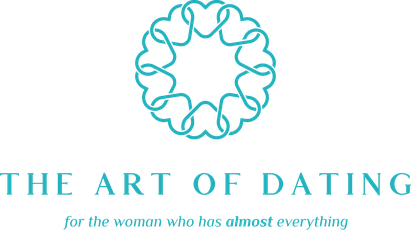 Contact eunice@artofdatingnyc.com for a complimentary consultation. P.P.S. If you enjoyed this blog, share it with your friends.